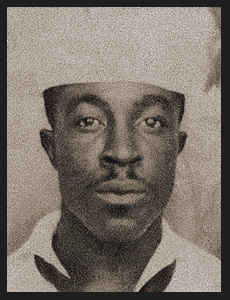 STM 1/c Henry Roy Wicks, son of Mrs. Jannie Wicks, attended Langston High School; husband of the former Bernice H. Williams. Entered Navy in 1944, trained in Bainbridge, Md. and Shoemaker, Cal.